Cryptography is the study of techniques for secure communication of information in the presence of third parties who are regarded as adversaries. 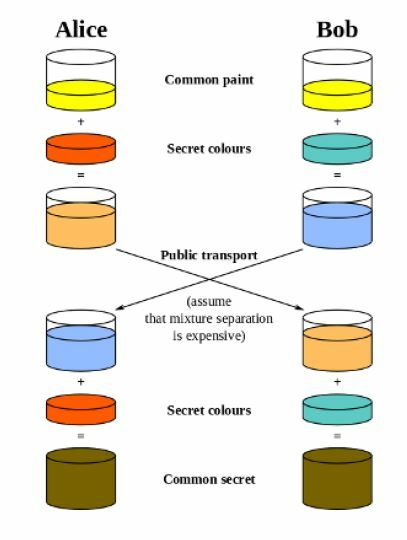 Most methods for encrypting information are highly mathematical in nature, and the security of many cryptosystems depends on the computational difficulty of problems in number theory and finite fields. In this course we provide a basic introduction to cryptography and discuss classical cryptosystems that have been employed over the last 2000 years. We then develop the mathematical background necessary to describe several modern cryptosystems in use today, including the public-key Diffie-Hellman system and the RSA algorithm, and discuss the security and vulnerability of these methods to attacks. Students seeking to enroll without these prerequisites are asked to contact Prof. Howell. The course will meet on Tuesday and Thursday evenings from 7-8:15PM. More information is available on the course flyer. Three students from the Department of Mathematics at the College of Charleston recently presented papers that won awards at the 2014 SEINFORMS Conference in Myrtle Beach, SC on October 14-15, 2014. SEINFORMS is the Southeastern Chapter of the international INFORMS (Institute for Operations Research and the Management Sciences) organization. SEINFORMS hosts a multi-disciplinary annual meeting every October where both academic and practitioner papers are peer-reviewed and presented in tracks representing business, economics, and the allied fields. Graduate students Drew Passarello and Bryce Pruitt presented a paper entitled “Ranking Methods for Olympic Sports: A Case Study by the U.S Olympic Committee and the College of Charleston” which was co-authored with C of C Math undergraduate students Stephen Gorman and John Sussingham, former C of C Math graduate student Peter Greene, Professor Amy Langville, and Dr. Peter Vint of the U.S. Olympic Committee. Their paper develops a method to determine if the U.S. Olympic sports program is improving on a sport-by-sport basis. In the current work, the method was applied to the U.S. Men’s Ice Hockey and Women’s Alpine Skiing programs. The paper won the best Graduate Student Paper Award at the conference! Their paper will be published in the conference proceedings – a preprint of the paper is available here. Undergraduate student Tyler Perini presented a paper entitled “The Humility Project: Text Analysis for Characteristic Linguistic Patterns” which was co-authored with Professor Amy Langville. The Humility Project is a study that blends Mathematics with Psychology and Philosophy in an effort to empirically quantify ‘humility.’ Their research focuses on analyzing the words people use when answering certain questions that target this elusive virtue. Using word counting tools, they represent a training set as a set of document vectors, which can be partitioned with matrix decompositions to find underlying similarities between kinds of answers. The ultimate goal is to use the training set to classify an incoming ‘query’ document as more-humble or more-not-humble in its word usage. Tyler’s presentation won the Undergraduate Student Paper competition! Next week, the College of Charleston Math Club and the Department of Mathematics will host a seminar talk designed for undergraduate students. We hope to offer more talks of this kind in the future. The talk is open to the public and no particular mathematical background is required. Abstract: In the talk we will present some puzzles and paradoxes to demonstrate the importance of formalism and mathematical logic in our everyday life. These will lead to one of the most important theorems in the twentieth century’s mathematics: Gödel’s Incompleteness Theorem. All related concepts will be explained and a short and very elementary explanation of the proof of the theorem will be presented.